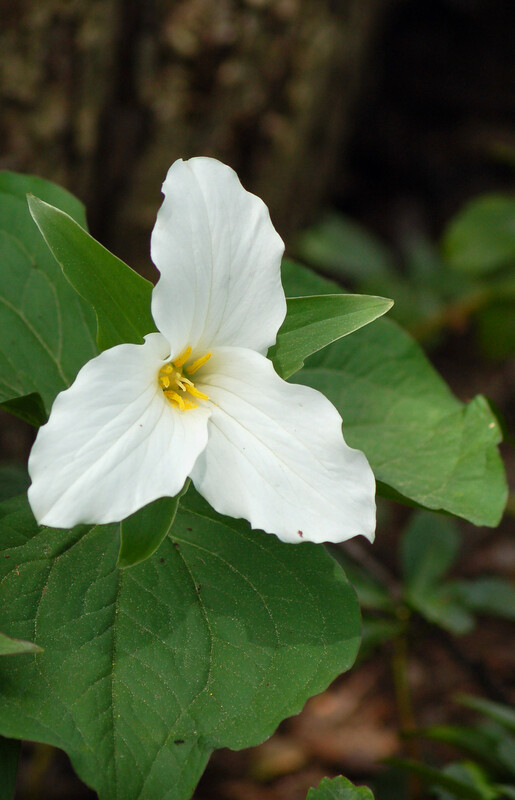 I have seen the sides of a woodland hill white, as in a field of white, with thousands of white trilliums. This is a sight to behold. 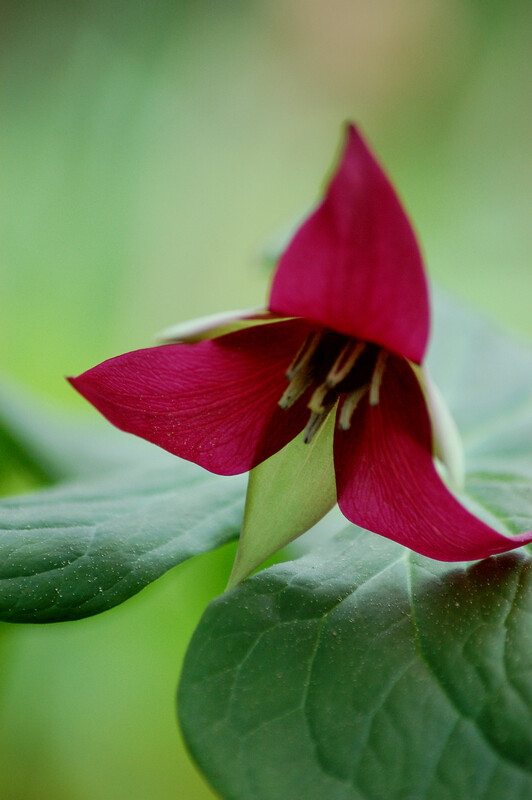 The purple trillium, or the Wake Robin, is much fewer in number. 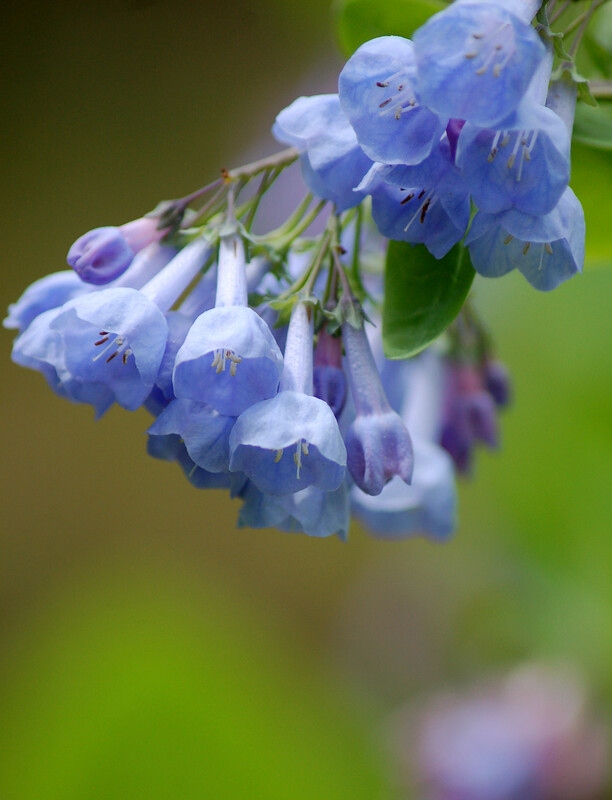 The Virginia Bluebells grow best near creeks, and water sources. 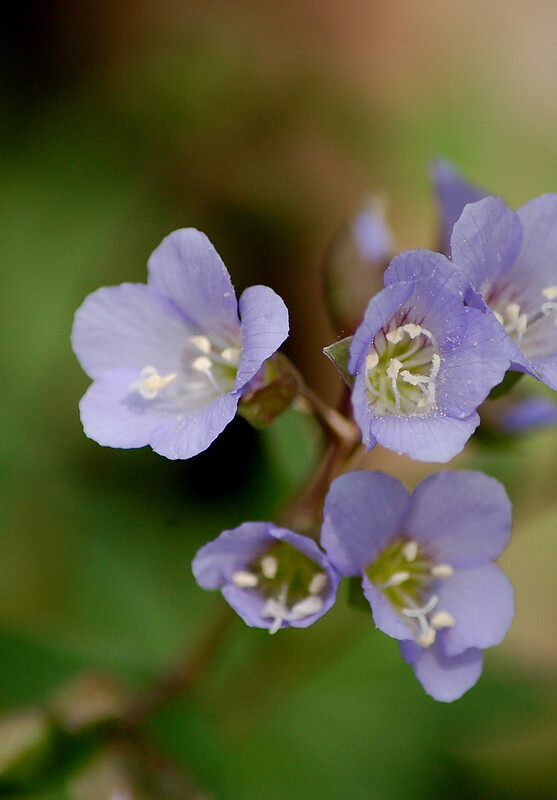 Harebell is a short wildflower fairly common in woodlands. 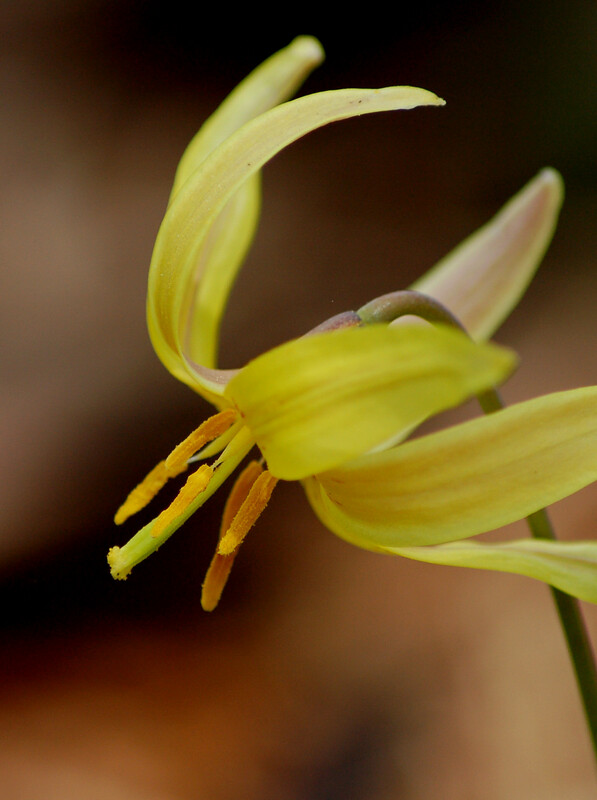 The Trout Lily, also known as the Dog-Tooth Lily is found in rich woodland settings. 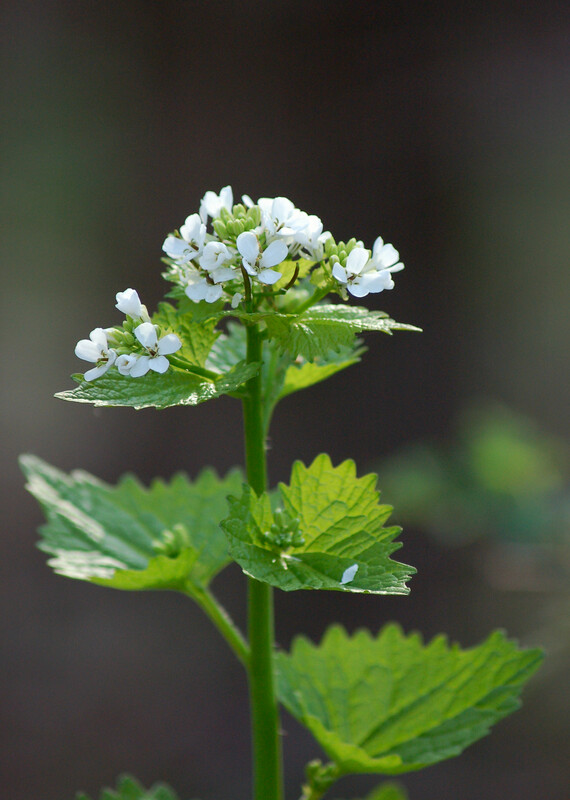 Garlic Mustard is an invasive flower in Pennsylvania. 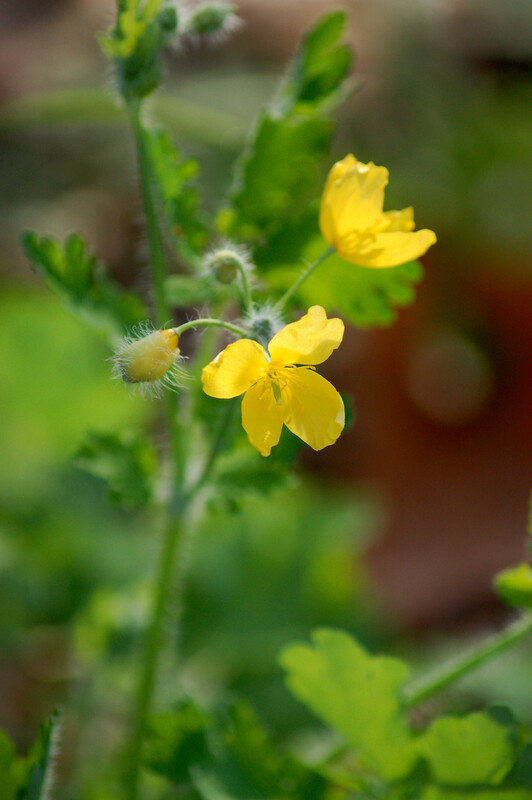 The celandine is a naturalized flower. 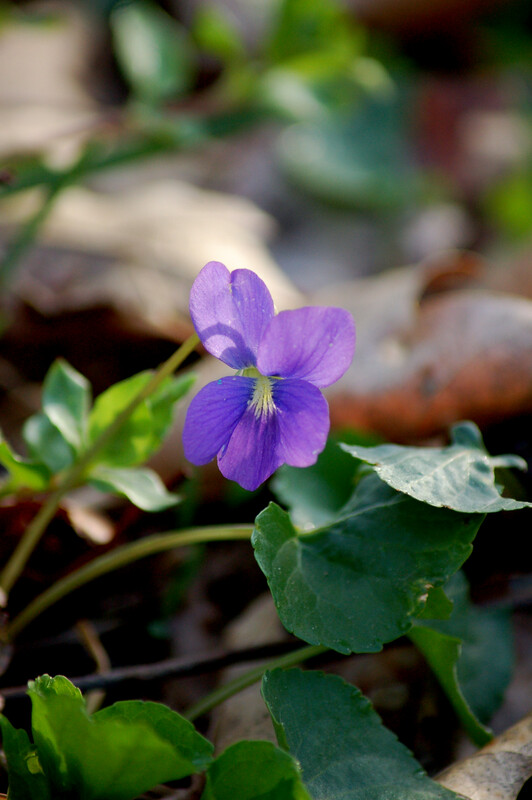 Of course the violets are very common. 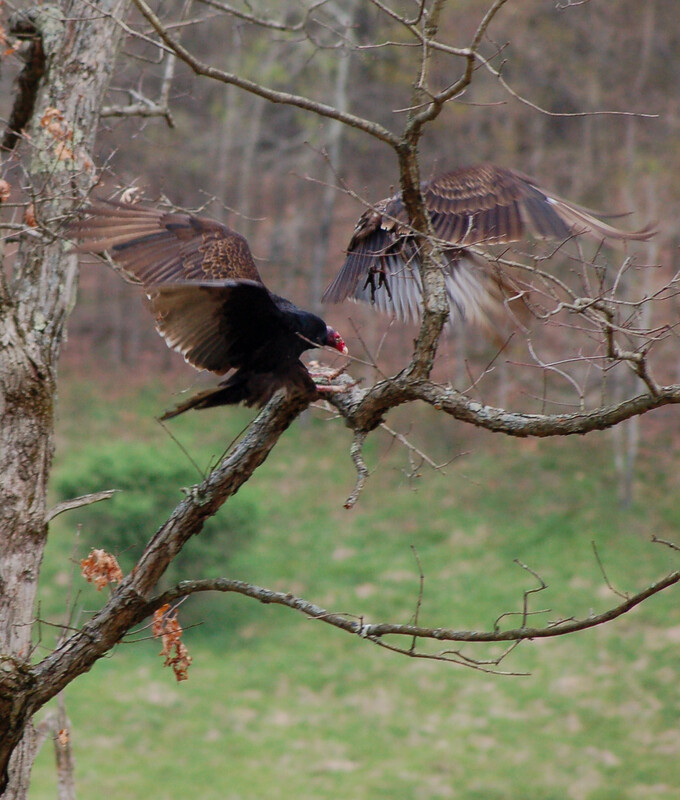 I may be weird, but I have always been enthralled with the Turkey Vulture. 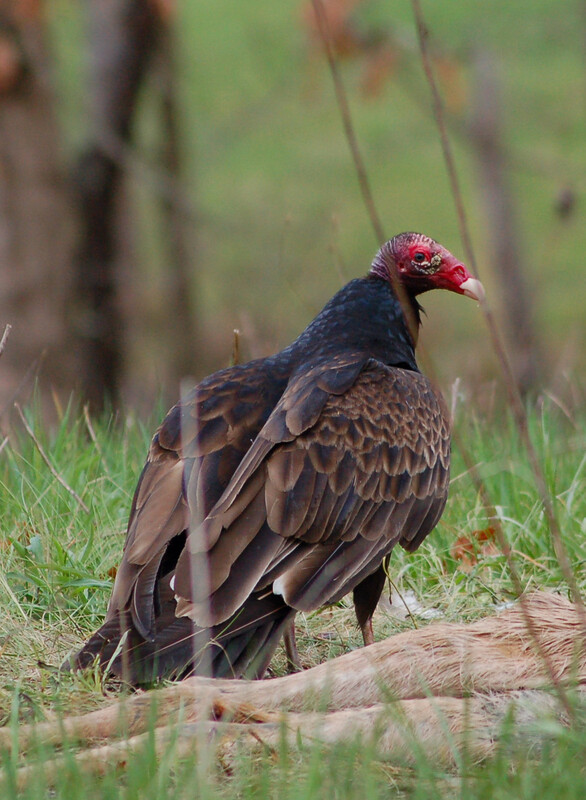 (Also, known as the Turkey Buzzard.) I look forward with seeing the first one soar into Armstrong County, Pennsylvania each year. That date is around March 15th. I enjoy the gracefulness of their flight. The bird opens their long wingspan allowing them to soar for a long periods of time in the thermal wind drifts. They are easy to identify. The vulture holds their wings in a shallow V-shape. 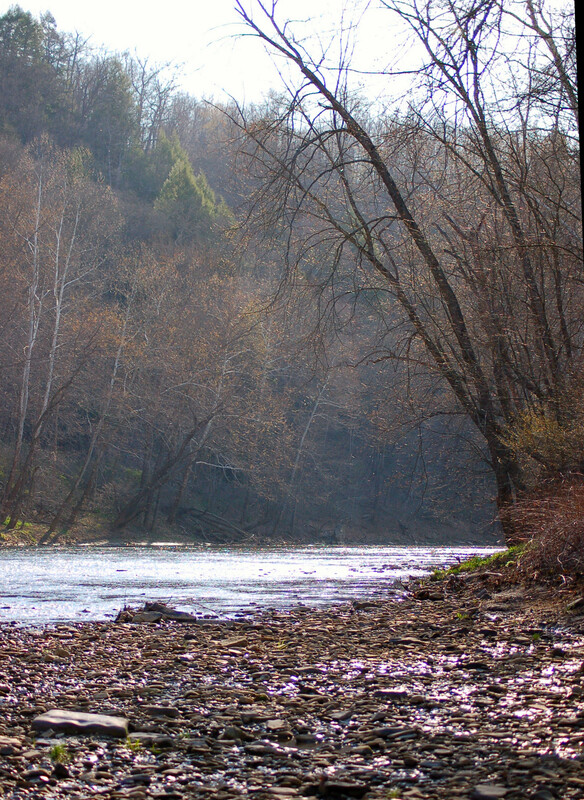 Sometime ago, I was exploring some rocky cliffs along Redbank Creek. I eased up and over some rocks peering eye to eye with a baby vulture with an irate parent missing my head by inches as the big bird exited past with the escape. Such a hissing sound from the young buzzard was experienced. They are almost always misidentified as a hawk or eagle. 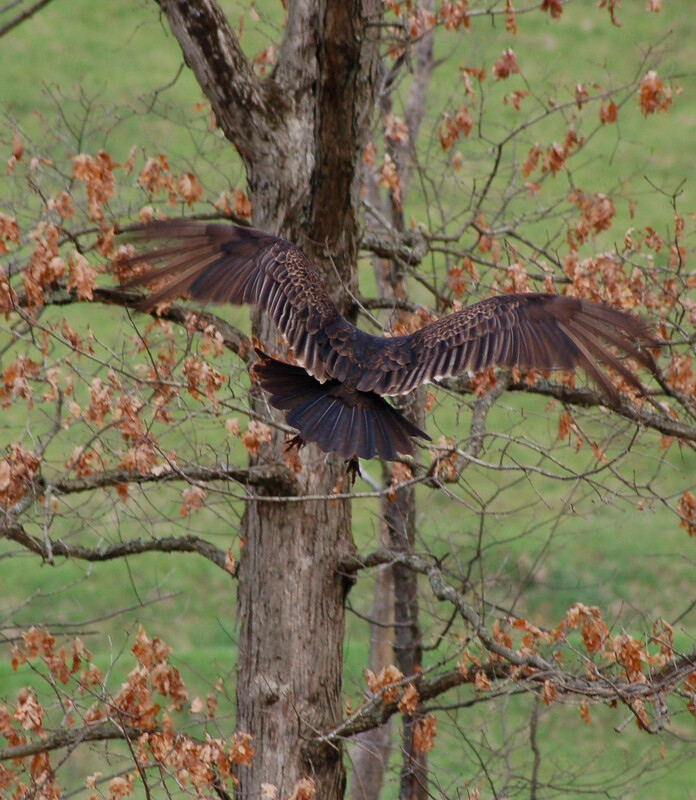 The vulture usually migrates south around October 15th each year. 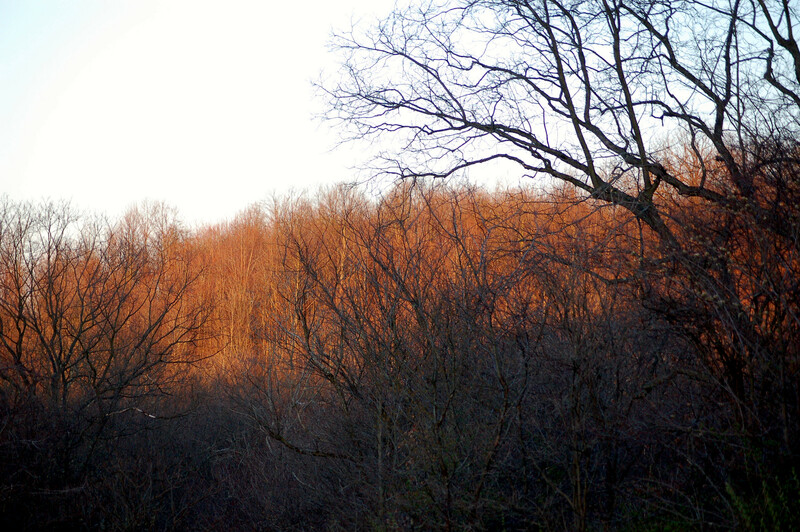 Monday, April 18th, found me walking the top of a hill listening for turkeys. I heard two gobbling towards the point of the hill. 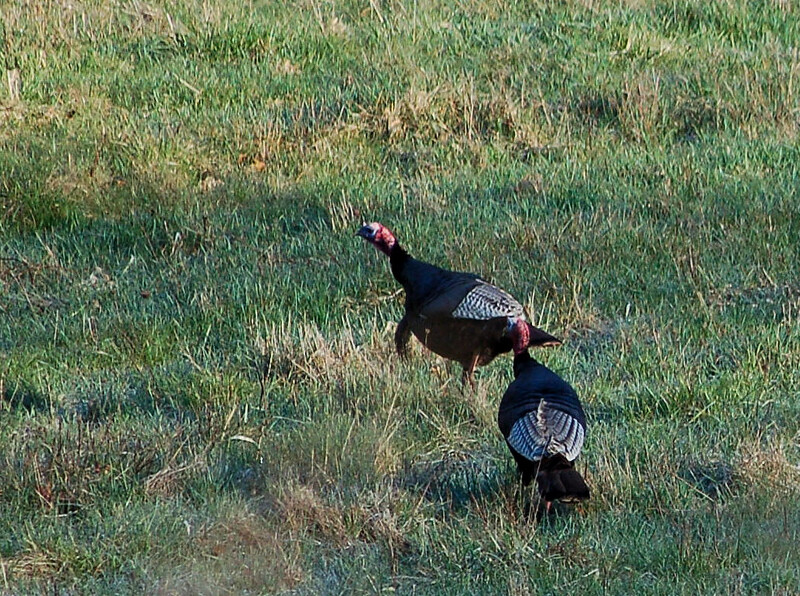 The two birds at fly down moved farther away with an occasional gobble. I moved along with them just to see what would happen. Suddenly, I realized after another pause in activity that the birds were closing in towards me. I heard hen chatter. At one time I believe the gobblers would be on my lap in moments. However, they began moving back up the hill. They entered a field on top where I had just walked across. I eased up and saw both longbeards. 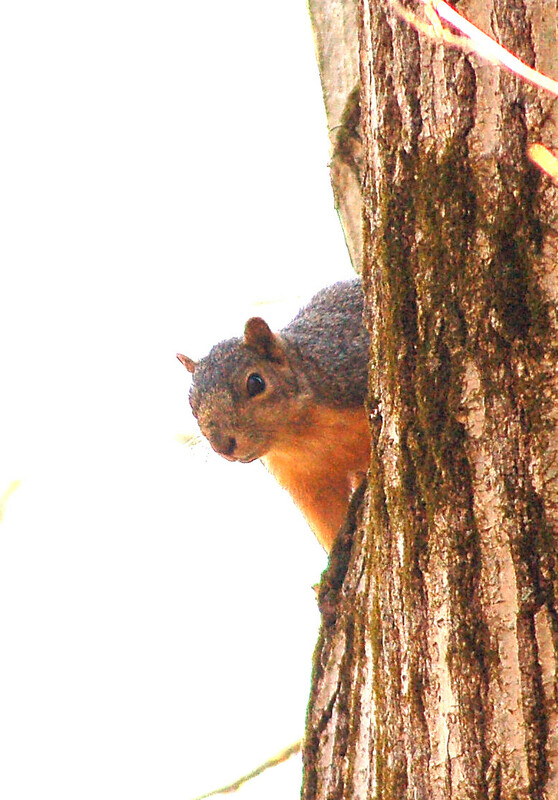 I maneuvered around to see a deer; rabbit, a Brown Thrasher, a pair of wood ducks on a pond, and squirrels. 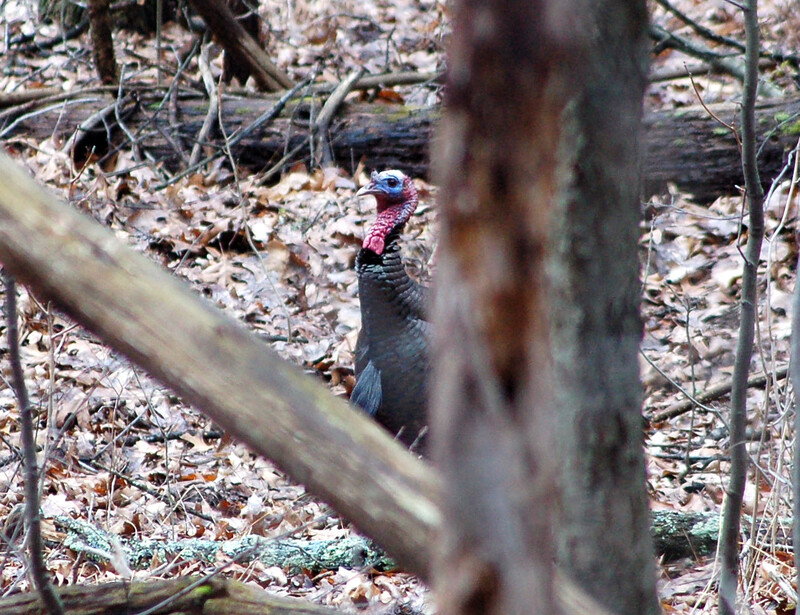 Later, I heard a gobbler open up as I walked in his direction. he had clammed up for some reason. As I eased into the area he was gobbling from I saw the image of a large Fisher crossing ahead of me. I tried calling for response. I called in a hen who was very vocal. 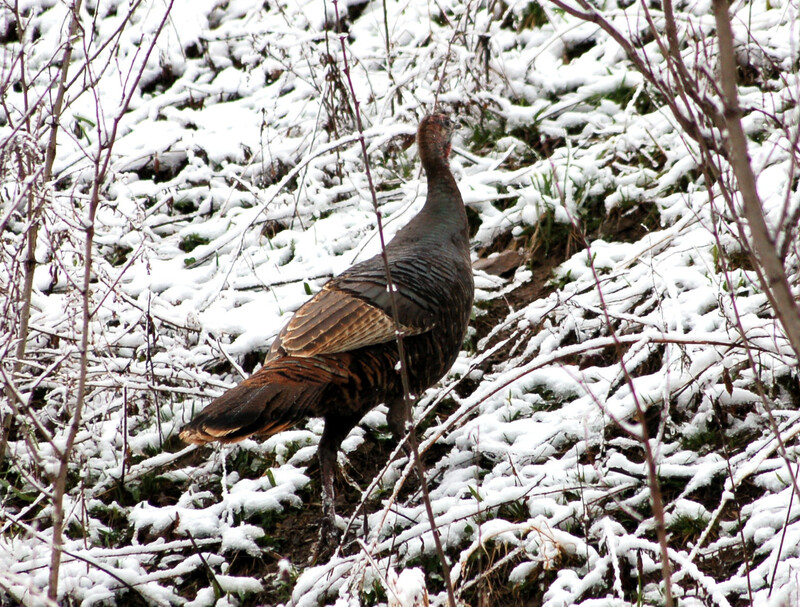 A gobbler began gobbling again and was definitely coming towards me, and this hen. I saw him with four hens. One hen spotted me so I failed to get any quality photos. This morning I was at a different place to listen. I heard five different gobblers. I saw a hen in the field. I saw a lot of deer this day. They sure were moving! I saw squirrels, one rabbit, and six mockingbirds. I fished in Crooked Creek for a time. All I caught were chubs. 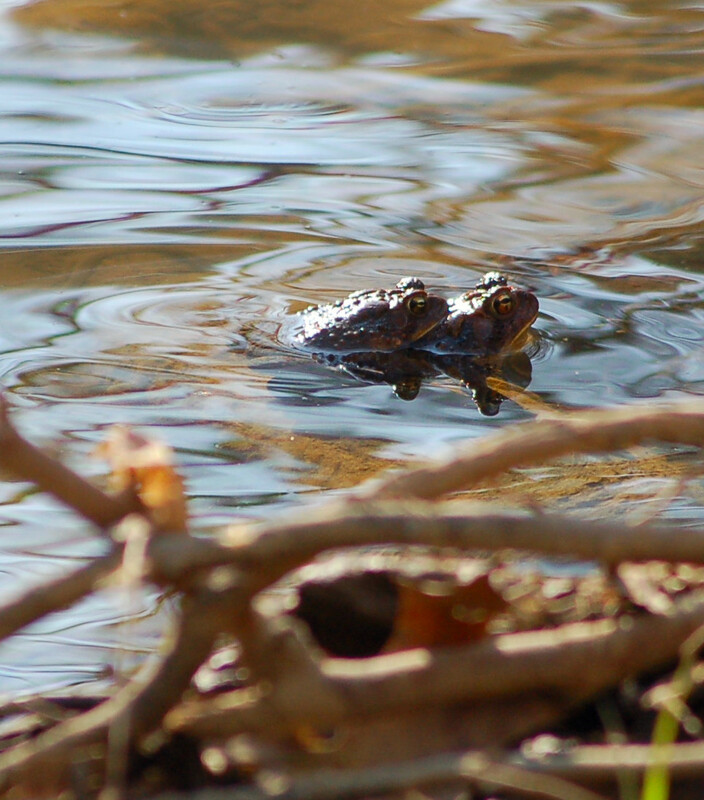 Toads were all about making their mating sounds. I could a lot of them along the shore along with strings of eggs. 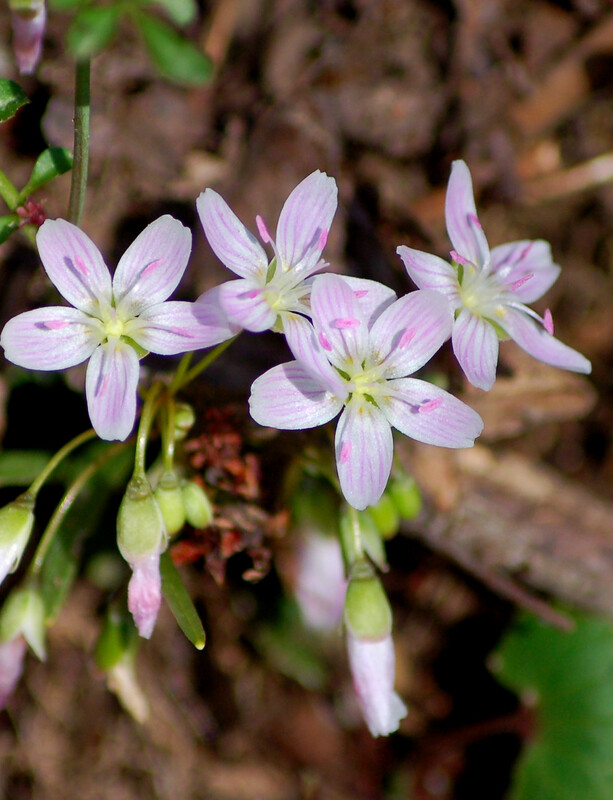 Yes, spring is a glorious time to be in the woodlands, and fields. 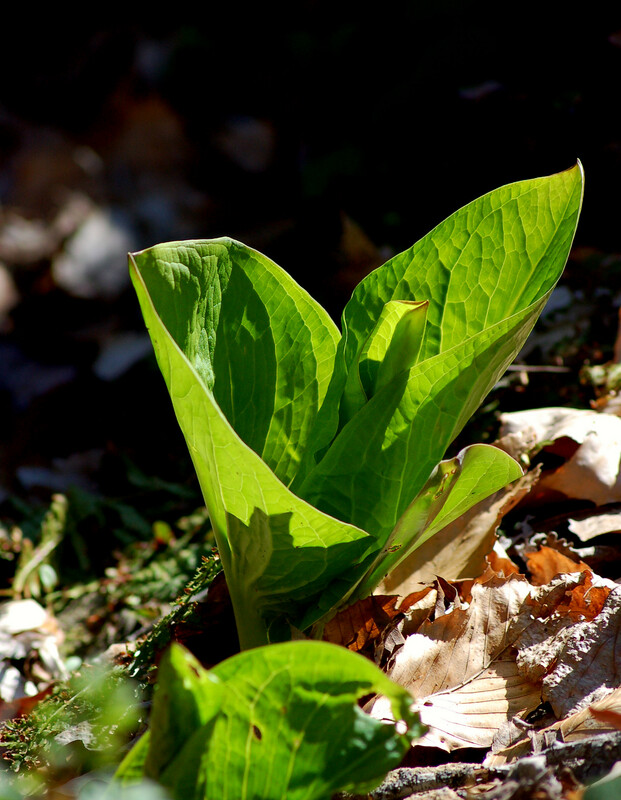 I become struck in awe each spring as the new birth of nature becomes unraveled before my eyes! 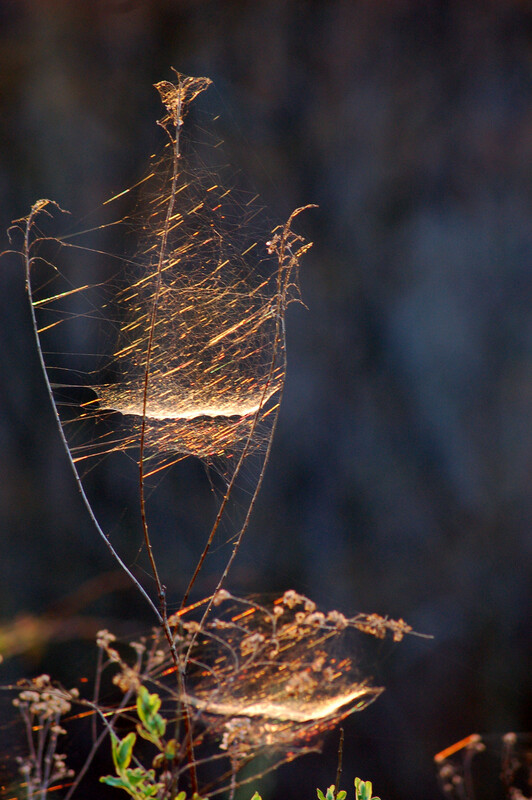 I find nature amazing! Each year the cycle continues forth as naturally programed. 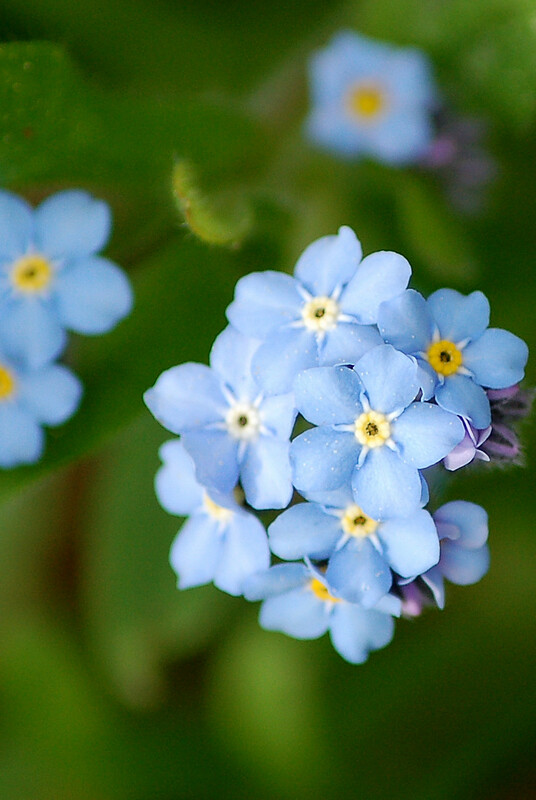 I have kept records for years as to when the flowers bloom, migratory birds arrive, etc. The dates are always very close. variances may occur simply because I missed being at the right place on any given day to see the arrival. 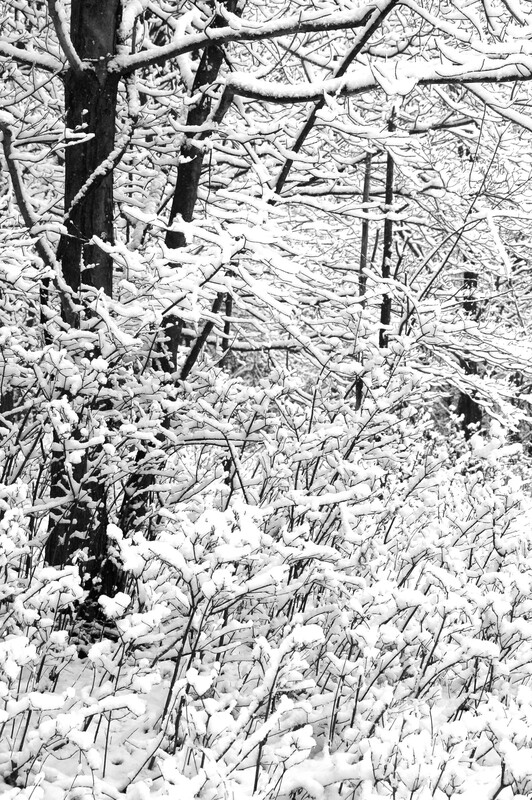 Friday, April 15th, I decided on a mid-morning jaunt just to see what I could see. 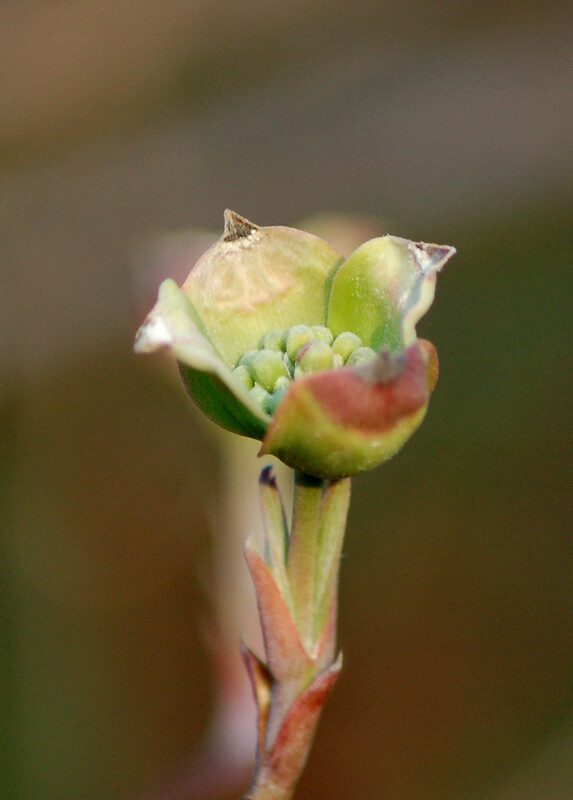 The wild flowers are shooting forth in blossoms. I can’t help taking photos every year of God’s beauties! 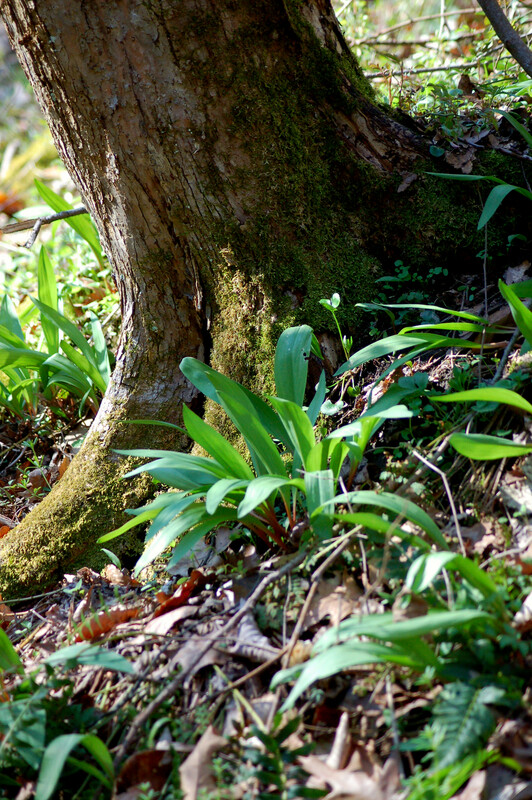 One area yields fields of our native, Wild Leek, often called Ramps. I walked around a bend only to be met by a hen turkey. She wandered away, but not overly scared. 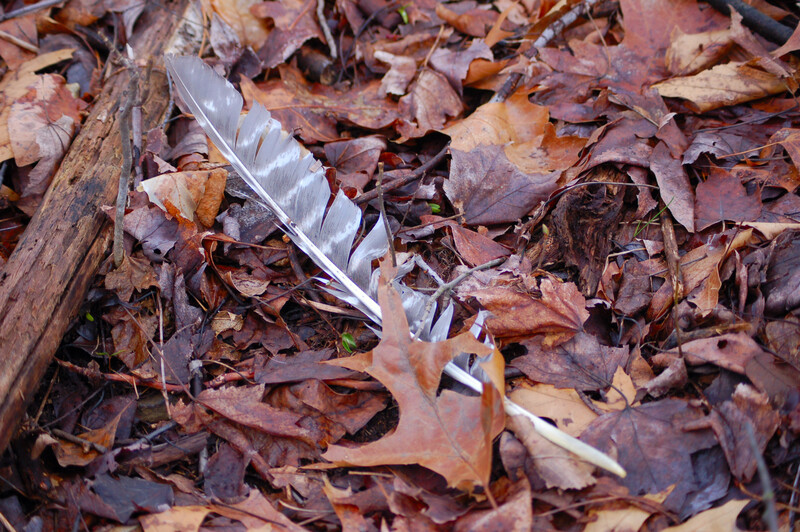 I believe a nest was, probably, nearby. 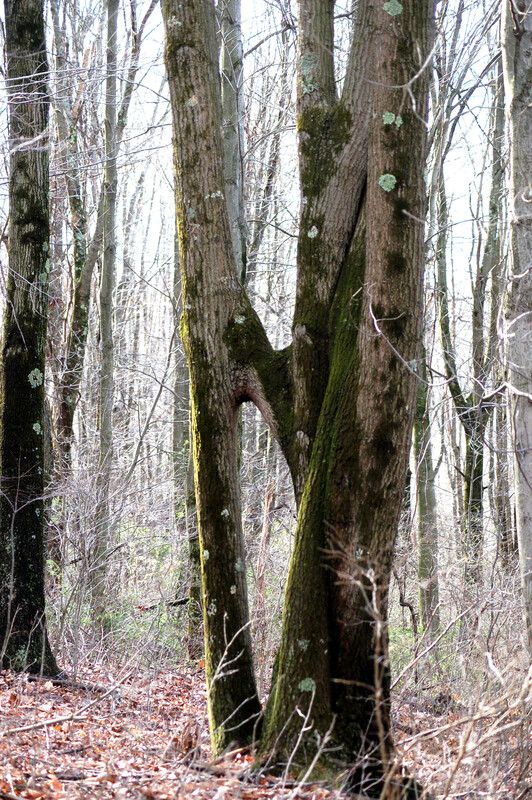 I walked along a field’s edge when suddenly three gobbler heads popped up in a slight terrain ravine. I watched as the trio exited the field towards the woodlands. 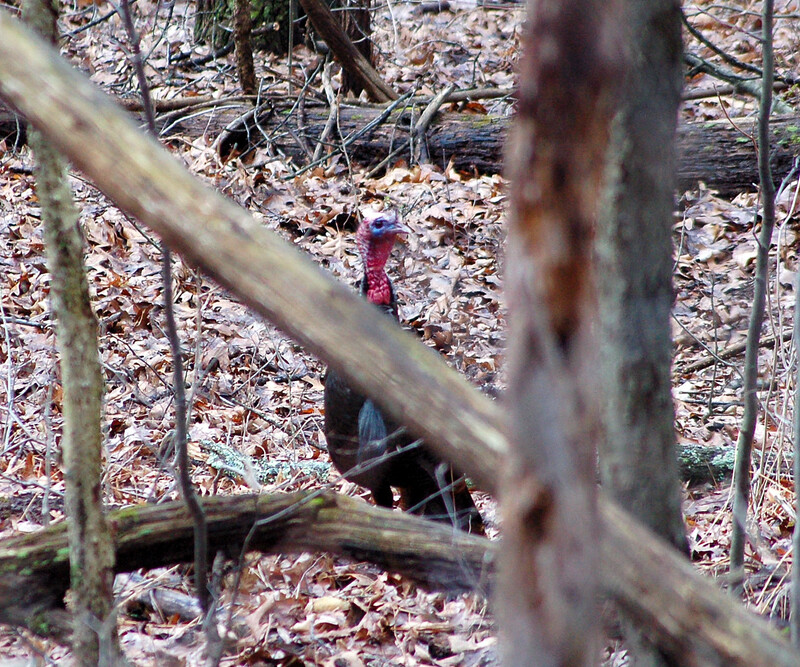 later, I saw another gobbler walking about. 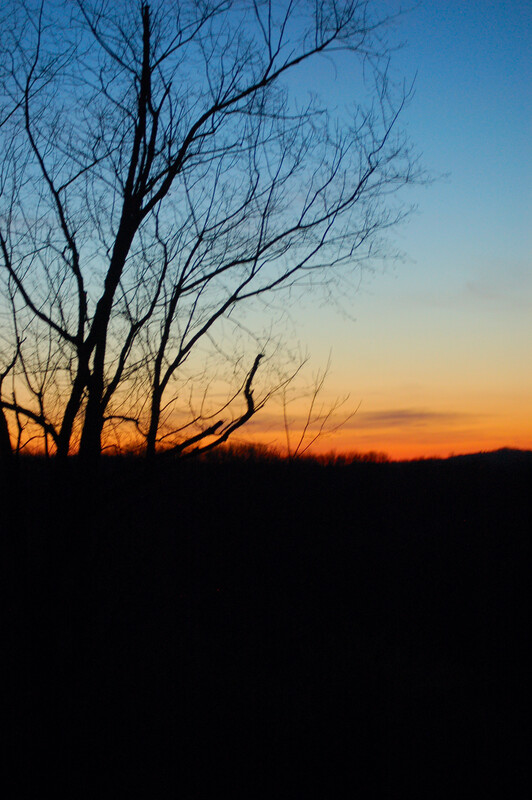 April 16th, found me walking a hillside in the pre-dawn minutes. My purpose was gobbler listening! 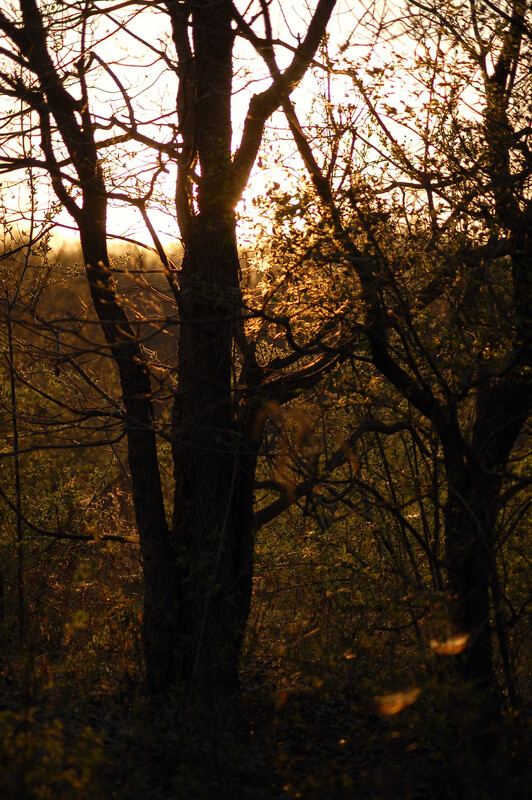 One of the first sounds I heard was the whistling wings of a Woodcock. I listened to the bird’s descent as well. 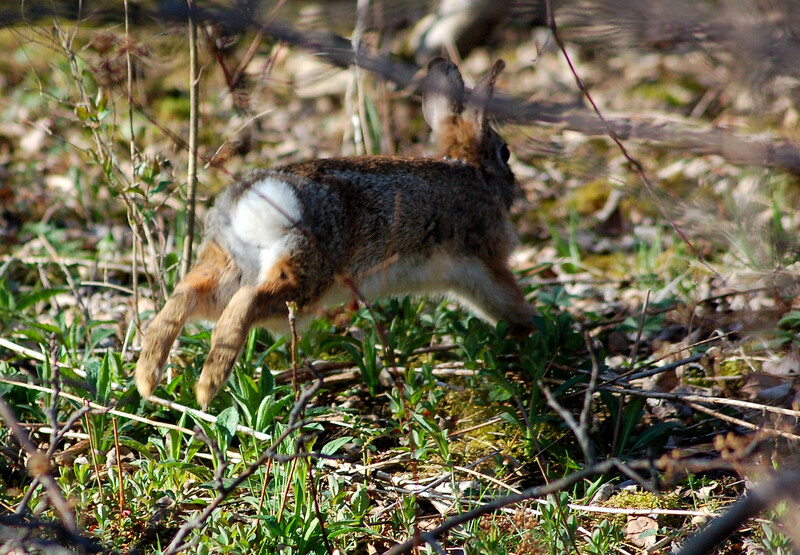 The next sound is the “snipe” call as they set on the ground hoping to attract a female. I have enjoyed this spring scenario since my youth as my dad pointed this mating ritual out to me so many years ago. 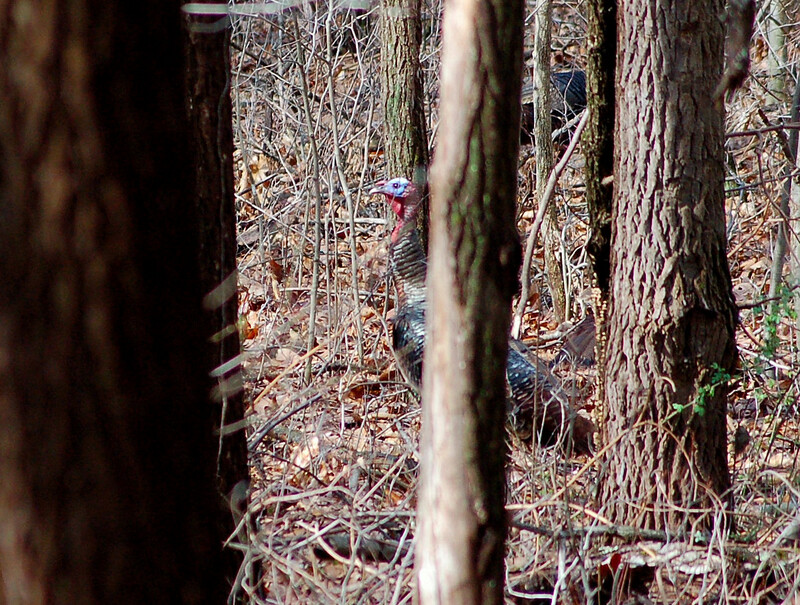 I heard five different gobblers as I walked along. Later a couple of toms opened up on a flat . I moved in to listen. The big birds we not far at all, but multiflora rose leaf out prevented my seeing any turkey activity. As I listened a hen began clucking behind me as she worked along the hillside’s contour. A gobbler began gobbling. This bird gobbled occasionally as he went upslope towards the other two gobbling birds. Things quieted down, as I theorized the hen with this gobbler reached the two birds above me. I imagined the gobblers strutting to impress her and each other. 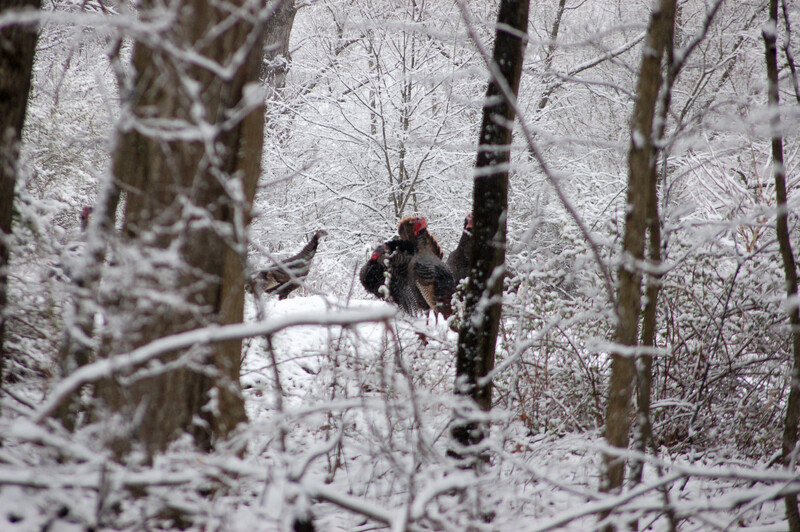 As I walked out the gobblers started talking again. Later, I would see five longboards at another locale. No fishing foe me when there are turkeys to see, and hear! Early Monday morning I was awakened by severe dizziness. Yes, the vertigo was back after an absence since Christmas Day 2013. I have been doing therapy exercises, and was surprised to have two bouts along with the nausea, and exhaustion that accompanies this terrible condition. Monday was a wasted day. However, Tuesday, April 12th, found me feeling much better. A walk was needed for fresh air, and exercise. I left the house about 8:30 and began walking about just enjoying the cool, yet sunny morning. I was walking a right-a-way when I observed several gobblers about 250 yards away. One was strutting. I circled around and worked above where they were. I called and was immediately answered with a thunderous gobble. I move downhill and called again. Gil-obble-obble-obble! He was closing in fast! 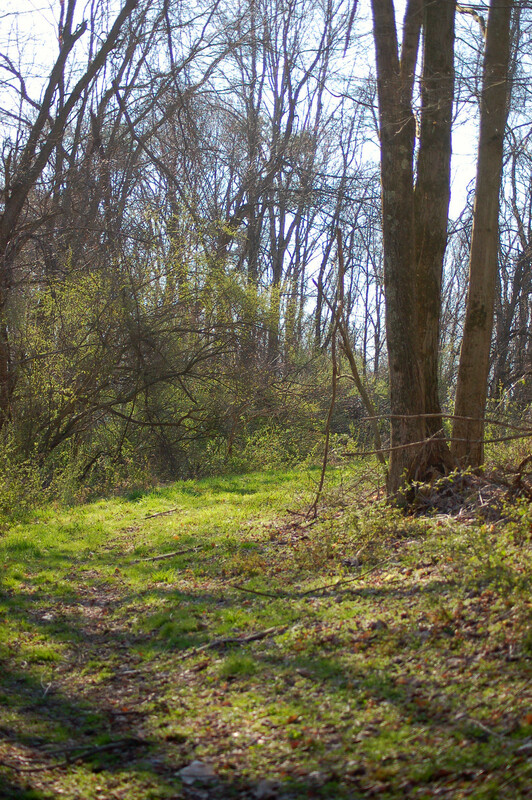 In minutes I could see a gobbler approaching me. Shortly, I could see three more toms. A hen showed up, too. 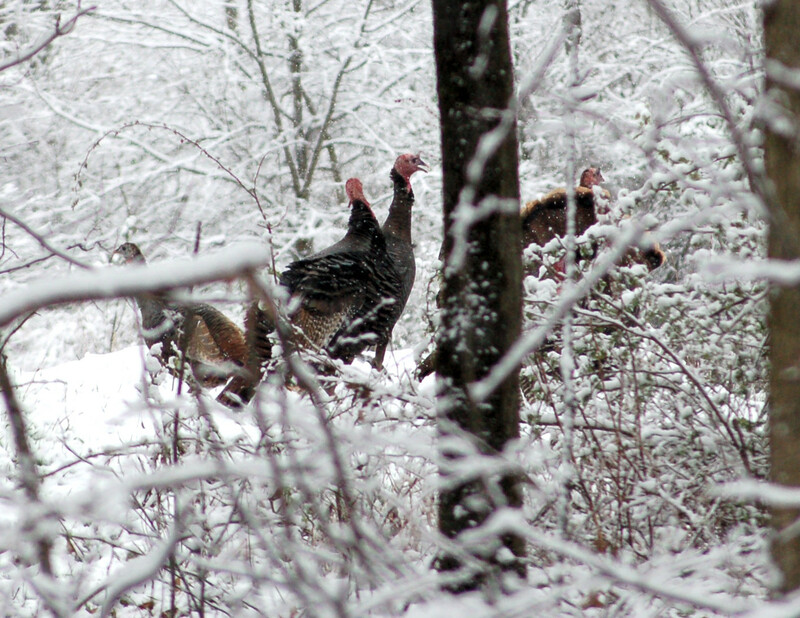 The other three gobblers didn’t allow for any photos. 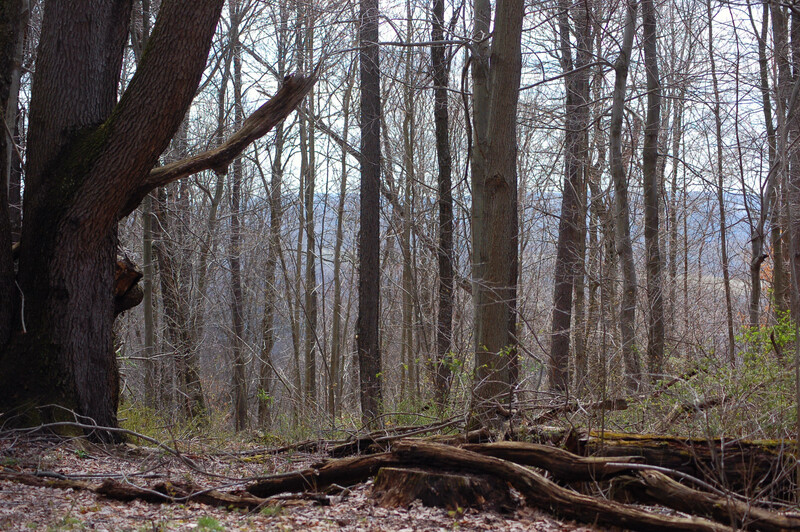 They stayed farther away and among some vegetation. The three were busy playing push and shove. I managed to take about six decent photos before the hen walked back with all four toms cold-trailing! Later, at about 11:20 I heard another tom as I was returning to the jeep. I felt fairly well from my three hour excursion. 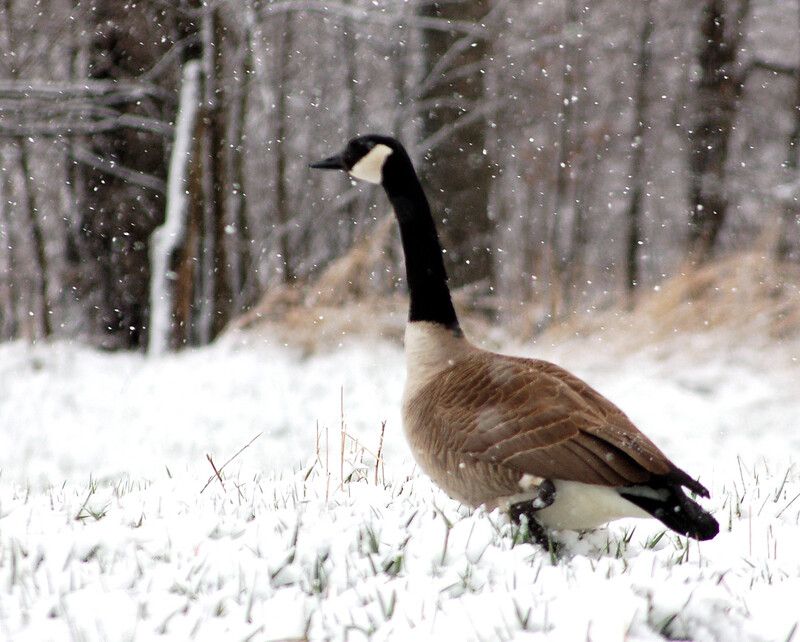 Walkin’ In A Springtime Wonderland! 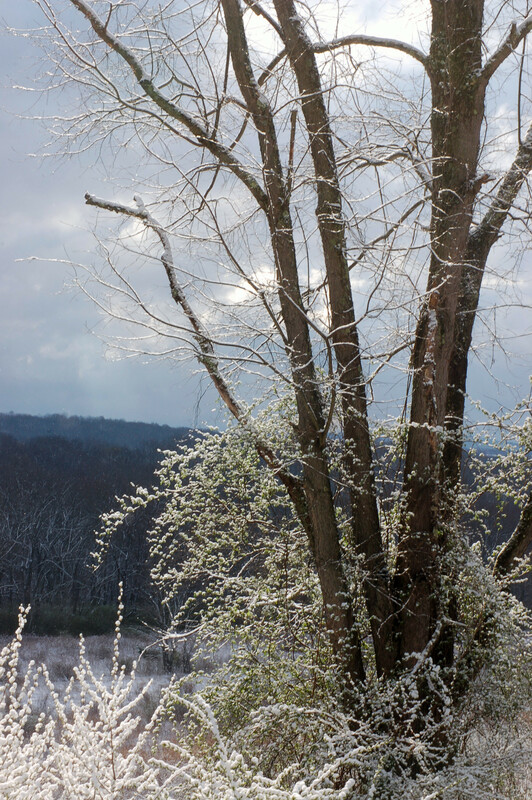 I completed an entry here on March 4th with a title stating winter’s last hurrah! 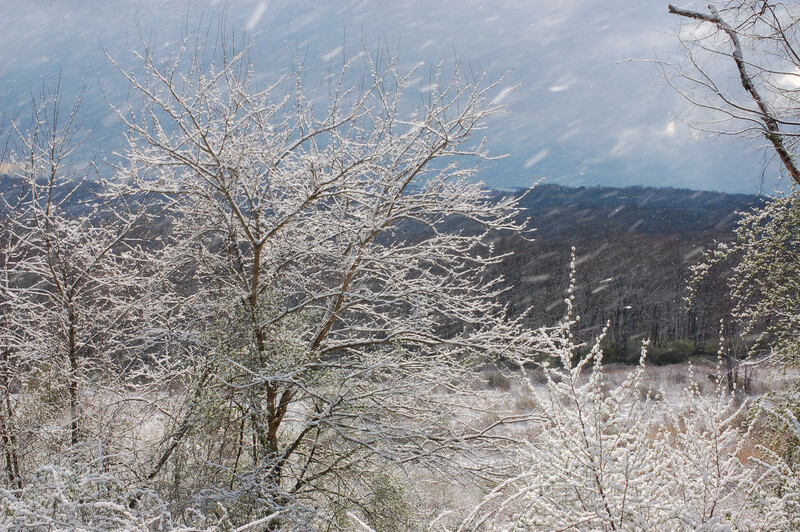 I guess winter didn’t read that entry for the last two days we have been seeing snow locally. 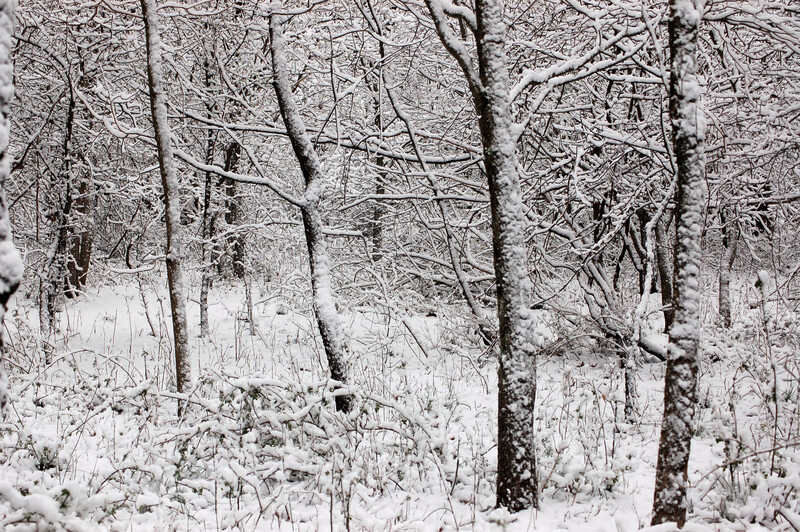 Approximately, two inches of snow fell overnight, and more is falling as I type this entry. Regardless, of the complaints I hear the last two mornings afield were very beautiful. 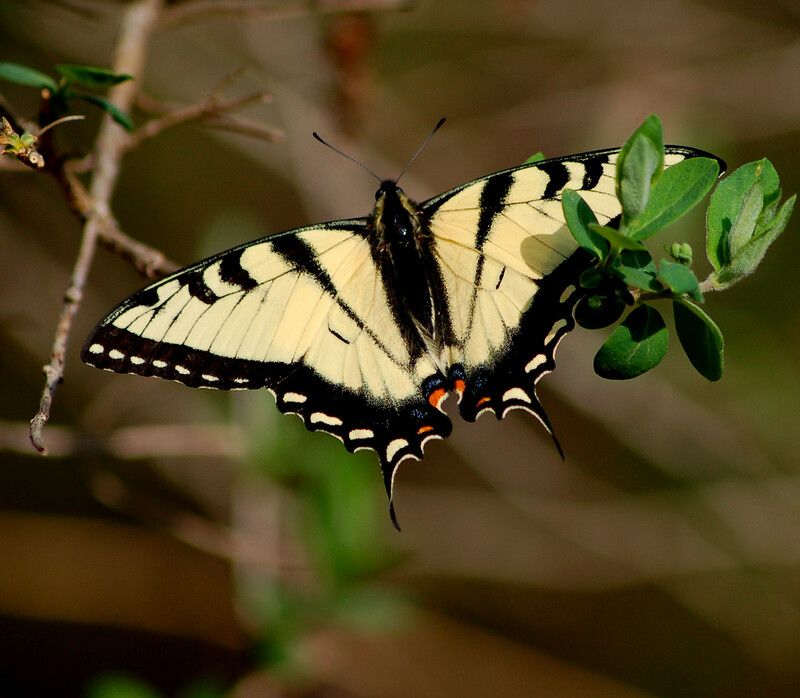 I appreciate being able to spend a few hour’s walking about and observing nature’s beauty. This morning I was out, and about, rather early. I failed to hear any gobbling. However, as the day progressed I would see a number of turkeys. 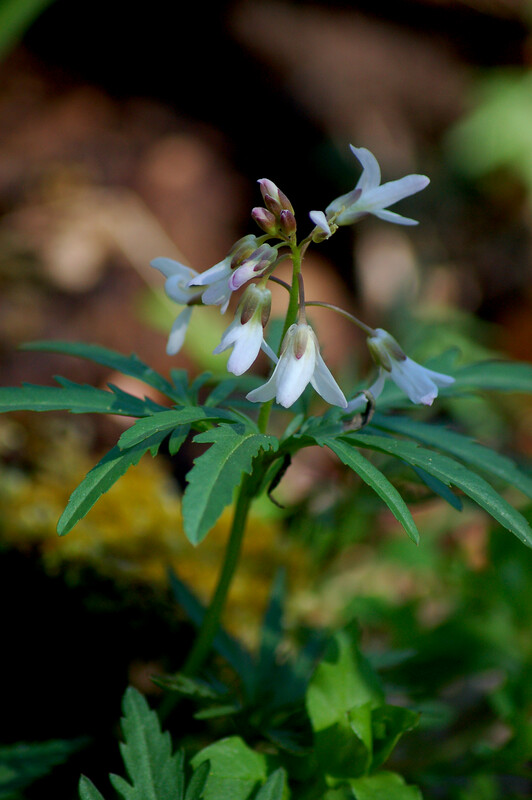 I saw some in the woods, and saw some in fields as I drove home. 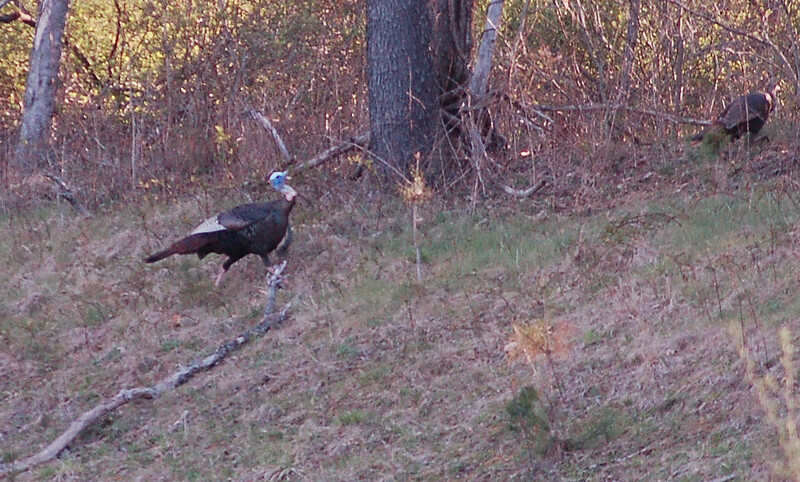 Yesterday, April 8, I heard a gobbler and called the big boy in a strutting, drumming, and spitting. If the hunting season was in place I would have had a fine meal of gobbler burgers in line! Two hens followed him down the hill, too. I called these three birds a little later on, but I could not get any photos. 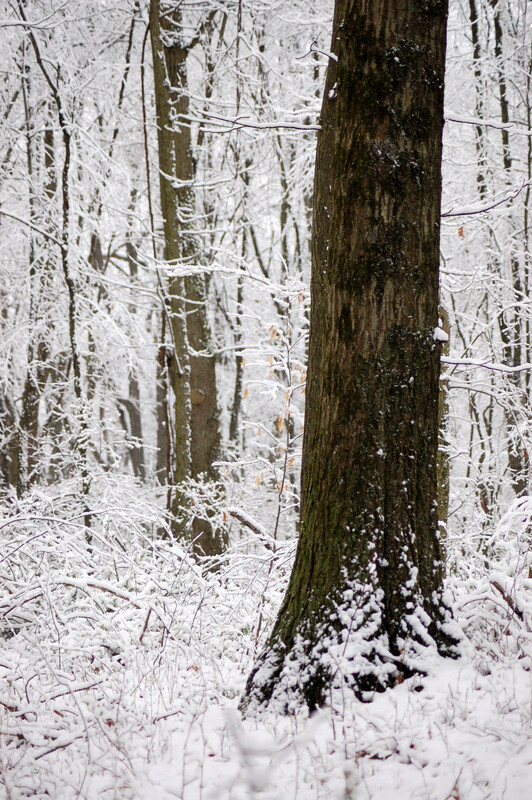 The dense brush and snow-laden limbs obscured any possibilities of that. I saw four deer, and a gray squirrel, and two big fox squirrels. 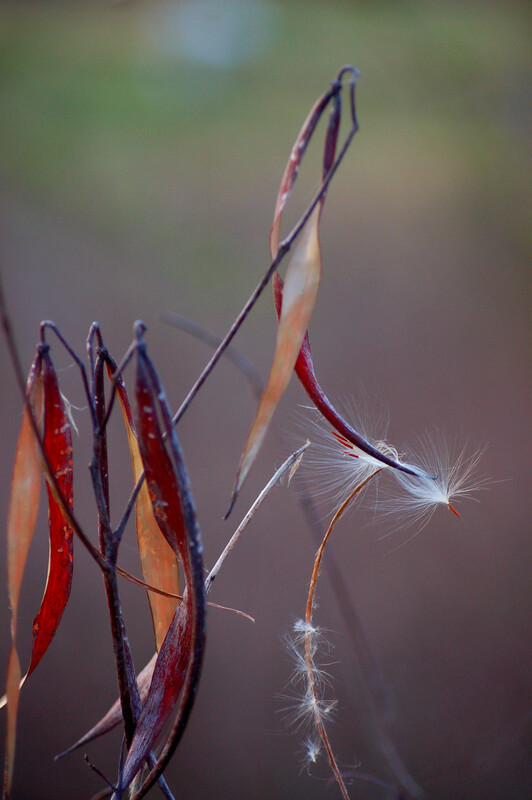 I took a number of photos of just the natural world on these excursions. Sometime in the future if I can not move about I will have these memory photos to rekindle my life as a woodland enthusiast. 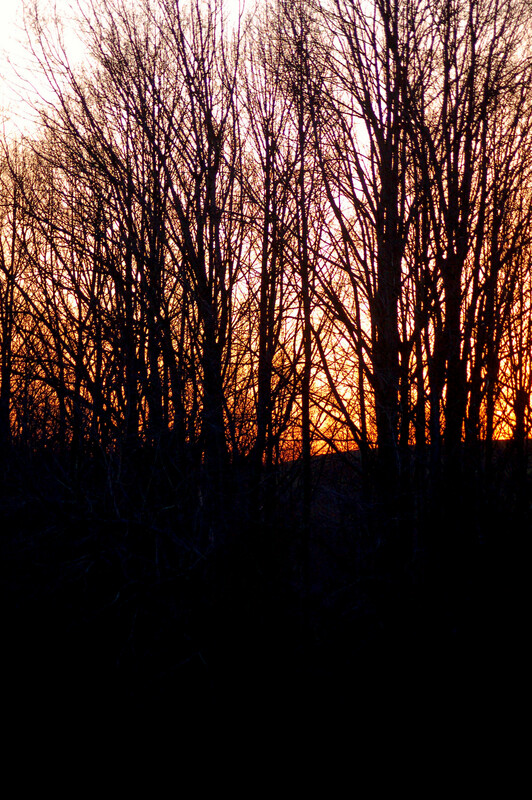 A few days ago, I took a walk near Adrian, Pennsylvania. I walked along a rural road and a railroad track. I saw a fox and discovered the den, as well. This day I would see some turkeys and two deer.